www.lanzbulldog.de - Forum • Thema anzeigen - This is from LANZ? This is a steering wheel from LANZ ? If yes, what's model is this? Re: This is from LANZ? The shaft seems to be an original Lanz shaft, which was used do fit in an special holder for starting the motor. The wheel seems not to be an original lanz one. They often used such wheels in Romania. What do you think, from what type of Lanz is it? 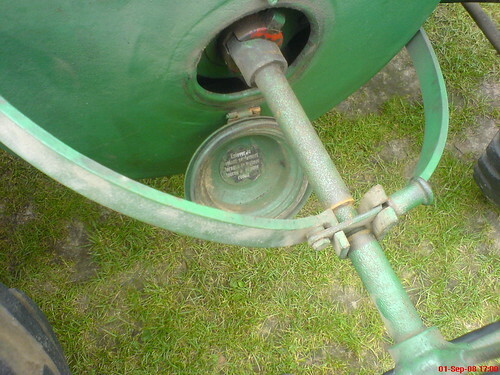 the shaft of the steering wheel is of a 1949model LANZ. The wheel itself is not LANZ. Probably from a car or truck.